Please join the Greater New York City Chapter to celebrate the season. 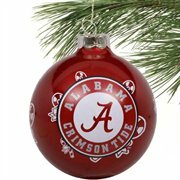 Please join fellow Alabama alumni and friends on Monday, December 5, from 6:00 p.m. to 8:00 p.m. to toast another year. We will be gathering at The Chester at the Gansevoort Hotel (18 9th Avenue). The event is free, and there is no need to RSVP. There will be drinks and light appetizers at The Chester. We hope to see you there. Cheers!